Free Shipping Included! Gaiam Adjustable Balance Ball Stool, Stability Ball Swivel Chair for Standing and Seated Desks in Home or Office, Black 33'' by Gaiam at The Daily Codex. MPN: 05-62674. Hurry! Limited time offer. Offer valid only while supplies last. 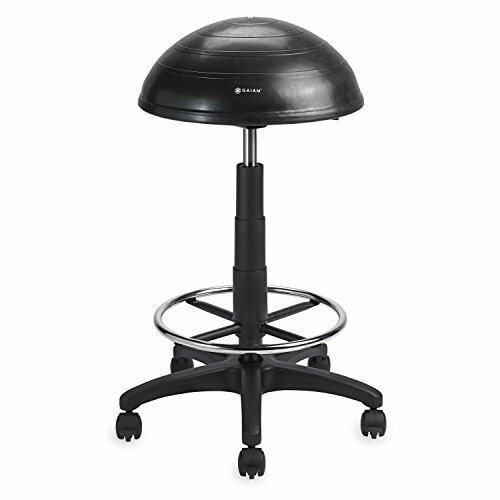 The Gaiam Balance Ball Stool features an anti-burst, half-dome balance ball seat that adjusts from 18” to 23” to fit most standard size desks.